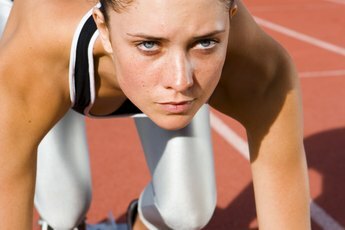 Does Jogging Tone the Stomach? 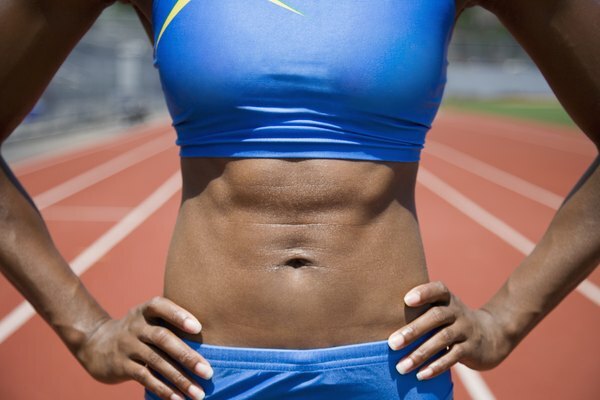 Jogging is a surefire way to lose fat and reveal your abs. Jogging, an activity not typically considered an abdominal exercise, is actually an excellent way to slim your stomach. Although jogging doesn't directly target your abs, it can help you lose fat around your midsection and make your six-pack visible. While jogging isn't a replacement for traditional abdominal exercises such as crunches and situps, it should be an essential component of your workout routine if your goal is to have a lean, washboard stomach. The notion of "toning" usually implies losing weight on a certain area of your body, which is impossible. This expectation is typically referred to as the "spot reduction" myth. Similarly, jogging is an exercise that doesn't burn fat exclusively around your stomach, but rather all over your body. You'll need to let your body naturally remove fat from where it deems fit, and the only way to accomplish that is with regular cardiovascular exercise, such as jogging. Jogging is a cardiovascular exercise, which means that it is an excellent activity to perform regularly if you're looking to burn calories and lose weight. An average hourlong jog burns about 563 calories for a 155-pound individual. A single pound of fat contains approximately 3,500 calories, so if you jogged for an hour a day for an entire week, you'd lose about 1 pound of fat per week, given that your diet is within your daily calorie intake guidelines. Note that you will lose 1 pound of fat over your entire body, rather than just your stomach, so don't expect to have a toned stomach after a month of dedicated jogging. If you want to speed up the process of toning your stomach, you'll want to do ab exercises in conjunction with your jogging schedule. You can either dedicate a few days a week to abdominal workouts, or engage your abs throughout the duration of your jogs to kill two birds with one stone. To target your abs while jogging, ensure that your posture is upright and your running form is strong, then clench your abs as you jog. No matter which method you opt for, toning your stomach requires losing fat and building strength, so don't perform one or the other exclusively. Should you ever feel as if your jogs are no longer giving you the burn you need, you can always switch to running. Increasing your daily jogging speed a few miles per hour could help you burn more calories and naturally engage your abs more while you run. Given that you are running at a brisk enough pace, your body's constant efforts to stabilize your torso and trunk will engage your abs without you needing to actively flex or crunch them. Adriaan Noordzij has been a writer since 2009, specializing in fitness, gaming and technology. A graduate of UC Santa Cruz, he has contributed to IGN and various fitness and health websites. Noordzij serves as the production and IT director for "CHAOS Magazine." How Often Should You Run or Lift When You Go to the Gym?